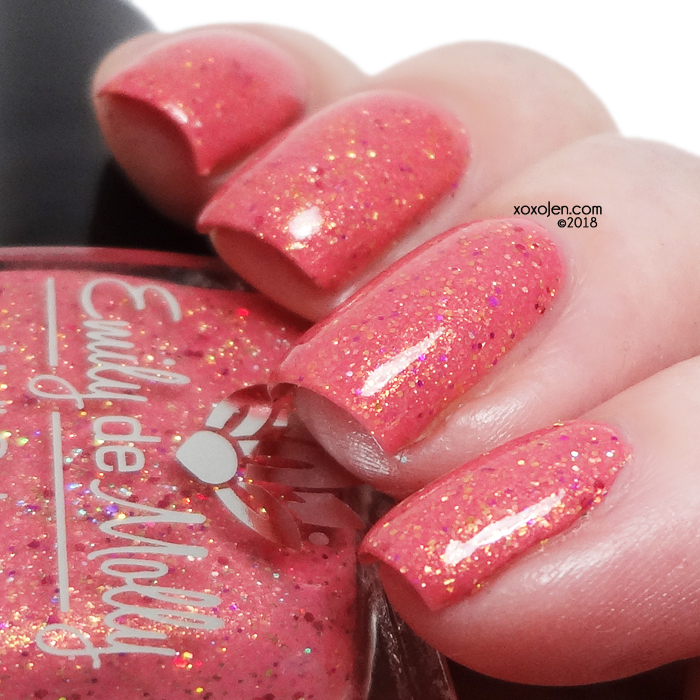 Emily de Molly has created this peachy keen polish for the for Hella Handmade Creations (HHC) April launch which will be available on the Hella Handmade Creations website April 14th - 21st. A dark peach pink with gold flakes, fuchsia and pink holographic micro glitters and lots of gold holographic micro glitters. Formula was fabulous, two coats shown.